HEXUS reviewed the original mechanical keyboard from Razer, the BlackWidow Ultimate Mechanical Gaming Keyboard, way back in 2011. According to Min-Liang Tan, Razer co-founder and CEO, the company never stops making improvements to its gaming keyboards. However today there is a particularly newsworthy upgrade to Razer's pioneering device - new models will benefit from water and dust resistance. 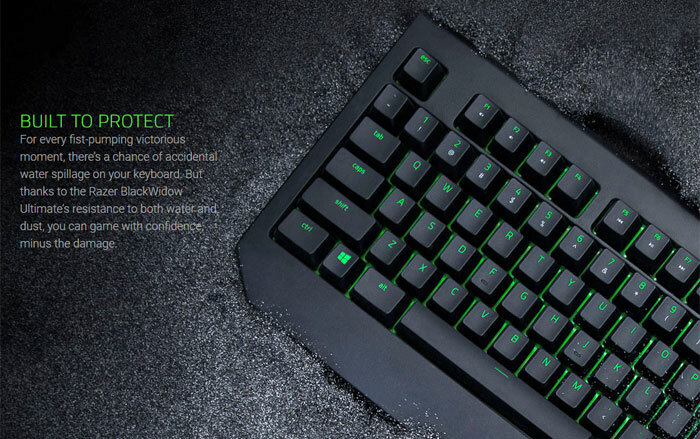 The product page of the Razer BlackWidow Ultimate has been updated to detail the product changes and at the top of that product page you will find that its IP54 certification for water and dust resistance is highlighted. Razer goes beyond this certification to claim the mechanical keyboard is "simply tough". 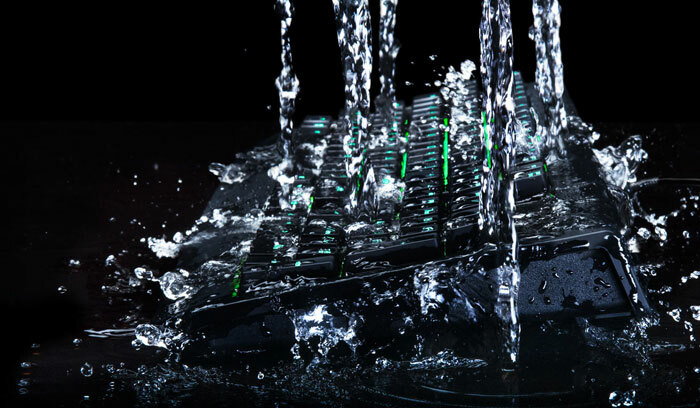 It is "designed to take a beating, hold up during furious key-smashing, and is water and dust-resistant so it remains pristine always," claims Razer's blurb. As usual Razer's mechanical switch durability is also very high - they are rated for 80 million key strokes. Razer already has this updated keyboard up for sale at Razerzone.com. Pricing is set at U.S. $109.99 / EU €119.99. Other distributors worldwide will have stocks sometime in Q4 this year. This bodes well for eating & drinking in front of the computer! So if I get this, will I be able to clean all the grime and dust bunnies from my keyboard but just giving it a good scrub in the kitchen sink?